In 2018 the Chamber brought back the exciting sport of Boat Docking Competition to Cambridge. 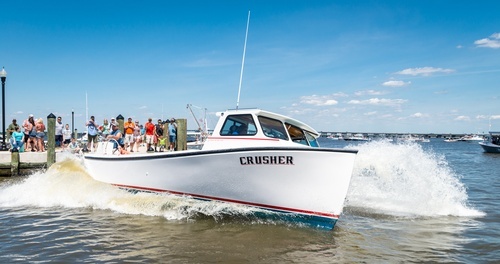 On June 2, 2019 the Second Annual Chamber Challenge Boat Docking Event will be held at Long Wharf Park. This exciting sport has been held at locations throughout the county for years, sponsored by Suicide Bridge Restaurant, Taylors Island Fire Department and Hoopers Island Fire Department. Adding Cambridge back into the circuit is helping to expand this exciting sport and bringing more visitors to the county for all the events. Four boat docking events in one County is unprecedented. You do not want to miss all of the excitement of this kick-off of a full season of Boat Docking in Maryland! In addition to the Boat Rodeo, there will be a bounce house, lawn games, face painting, food and craft vendors, beer crushes, and more! 2 person teams - Cash Entry, Cash Prizes.